Soluble in DMSO. Do not dissolve in methanol or ethanol. Note: We recommend to use fresh solutions. Aliquots should be prepared in DMSO and stored at -20°C. Protect from moisture and oxygen. 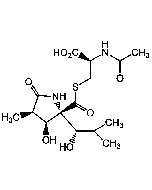 Potent, irreversible inhibitor of all the 3 proteolytic activities of the mammalian 20S proteasome. Triggers apoptosis, with distinct proteasome activity and mechanism of action compared to bortezomib (Velcade) (Prod. No. AG-CR1-3602). Most potent suppressor of NF-κB activation, compared with bortezomib, MG-132 (Prod. No. 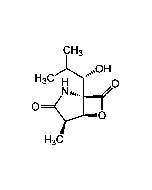 AG-CP3-0011), N-acetyl-leucyl-leucyl-norleucinal (ALLN) and lactacystin (Prod. No. AG-CN2-0104). 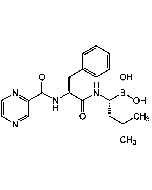 Inhibitor of TNF-α, IL-1, IL-6, ICAM-1 and VEGF synthesis. Displays a longer inhibition duration than bortezomib. Potent antileukemic activity against bortezomib-resistant leukemia cells.